So many sweets, so many choices! This ice-cream place is from “Karafuneya” in Kyoto. 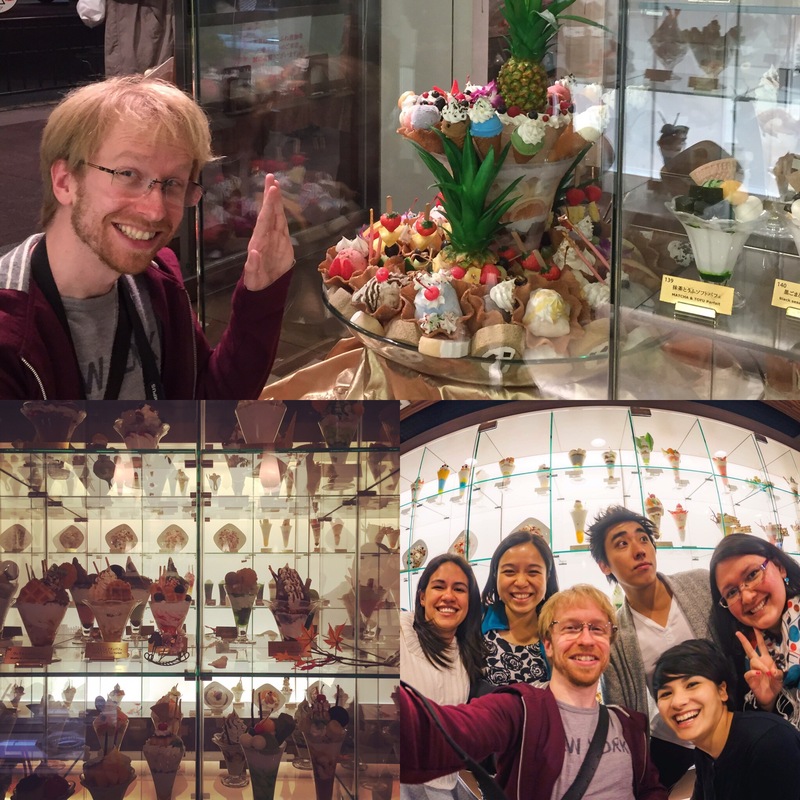 Once you enter the cafe, you will see a big display of beautiful ice-cream parfaits of over 150 selections. Apart from ordinary fruit ice-cream and all sorts of flavors, can you spot “Fried Shrimp Parfait”, “Hot dog Parfait” or “Fried Chicken on ice-cream”? With an aim to become a parfait trendsetter in Japan, Karafuneya has been inventing many delicious creations since 1972. Along with ice-cream, they want to provide full service from Dutch coffee, meal to dessert, and aims to provide a happy time for customers. 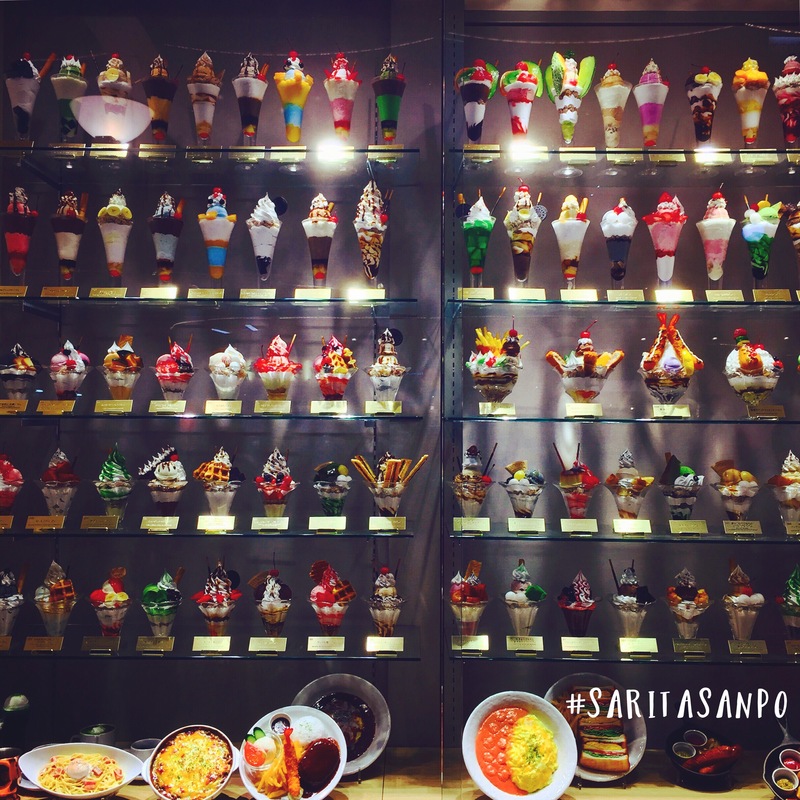 Apart from crazy menus, such as fried shrimp and hotdog ice-cream, you will see a big bowl of parfait worth 10,000 Yen to 50,000 Yen (2,900 Baht – 14,600 Baht)!! Another great place to hang out in Kyoto and unforgettable memories with friends.